TalkChelsea editor Jamie Wilkinson explains why Alvaro Morata’s legacy at Stamford Bridge, well, doesn’t exist. Let us know your thoughts on this topic @TalkChelsea. Though this’ll matter to few of our readers, I’ve been in New York for the past five days. I’m returning to work feeling like an alien with no knowledge of the world beneath their ship. Such is the madness of the city that never sleeps, I placed little importance on keeping track of Chelsea transfer rumours, thus it’s a great surprise to me to see that Alvaro Morata is closing in on a move to Atletico Madrid. Not to suggest that said surprise is a negative, I’ve got the bubbly by my side ahead of the deal’s official announcement, but it’s bizarre that both parties appear so willing to pull the plug this soon into their relationship. As per sPaNiSh FoOtBaLl ExPeRt Guillem Balague, as reported by the BBC, Morata has an agreement in principle with Atletico, who will be able to push forward with the deal once they are able to ship summer signing Nikola Kalinic. The Croat scored two in nine La Liga appearances, proving that his 6 in 31 at AC Milan wasn’t just a spell off the boil – he really isn’t good enough to cut it at this level. Naturally, Atletico have opted to replace him with Morata. 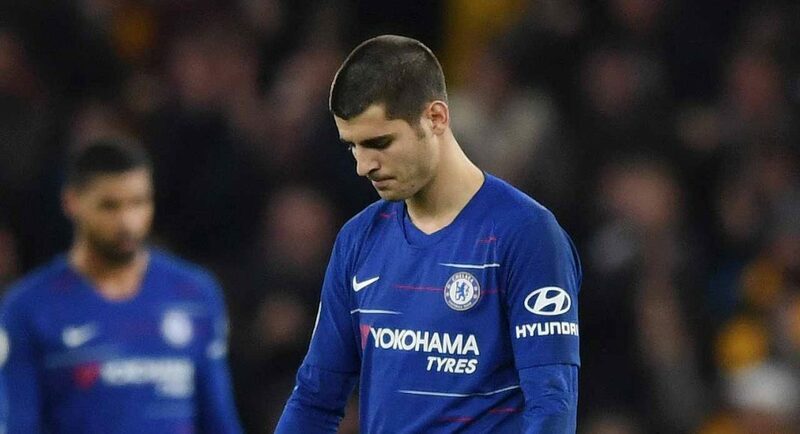 Morata himself has proven unable to perform consistently while carrying the responsibility which comes by being relied on by a club of our stature. Whether he’ll be able to perform at Atletico is yet unclear, but Chelsea have clearly lost faith. I personally believed that we would continue to cling onto the faintest hope of a revival, a la Fernando Torres, and suffer in the meantime. It’s incredibly refreshing to see that the club have learnt from their past mistakes and have little interest in replicating them. If Morata is to leave, he’ll go down as one of the most forgettable strikers we’ve ever had. This fanbase, of course, values quality, but we’ve always found a place in our hearts for someone willing to lay it all on the line for the badge. Alvaro never bothered. He spent more time on the turf than he did with the ball at his feet in the opposition box. Rolling around holding his head, dribbling like his laces are tied together, firing into the Matthew Harding Lower rather than the back of the net. Truly, frankly, dreadful. When you consider his predecessor was Diego Costa, who had his bad spells but always fought for the team, there couldn’t be a starker juxtaposition between the two players. Costa is remembered fondly for his mentality as much as his quality. It’s for that exact reason that, should Morata leave this window, he’ll be forgotten by the next. He was supposed to plug the hole in attack for years to come, yet we’re further away from finding a solution upfront than we have ever been. Adios, Alvaro. Thanks for, well, nothing. Next articleWith the Premier League out of reach, can Chelsea still win some silverware?